The 1st DASF and 2nd DASF were both located at Yokota Air Base Japan. 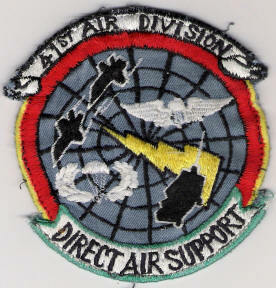 The 2nd DASF then was transferred to Osan AB, Korea. James (Skip) Gronski was the ground power guy who went over to Korea, don’t remember any of the others going. In both (of) the TDY's - (one) to the Brigade and the one to the DASC, we had people from the other DASF’s there also. I remember a Sgt. Hart from the 7th DASF in Hawaii . I can’t remember the names of the other guys with us. A1c Rich, John W. Jr.